Every year the Railway Touring Company operate a railtour around the UK commencing in London, travelling to Cornwall in the far West and to the North of Scotland, before returning to London. 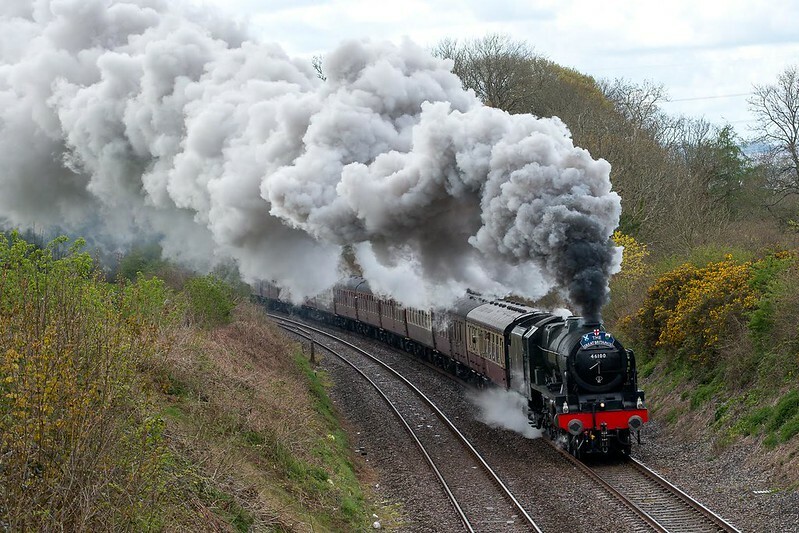 The Great Britain IX tour in 2016 journeyed for 9 days being primarily steam-hauled throughout which is quite an achievement on the modern rail network. 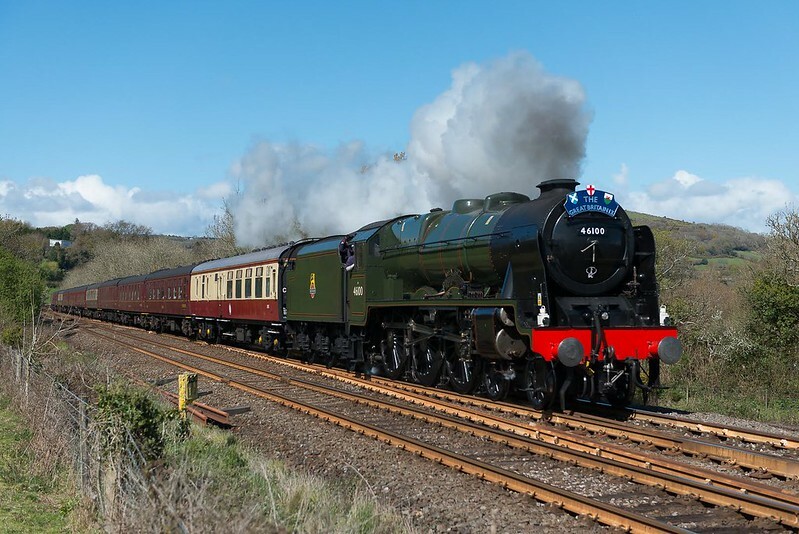 The Westcountry legs of the journey from London Victoria to Plymouth on Tue 26 Apr and from Penzance to Bristol on Wed 27 Apr were hauled by LMS Royal Scot Class 6100 'Royal Scot’ - albeit with a diesel on the rear due to the failure of the second steam locomotive originally planned. In fact the scheduled locomotives changed several times in the months leading up to the tour. The first picture shows the westbound train near South Brent and the second picture the eastbound train making a spirited ascent of the 1 in 42 Hemerdon bank near Plympton, Plymouth. Thanks to Barry for the excellent shots!